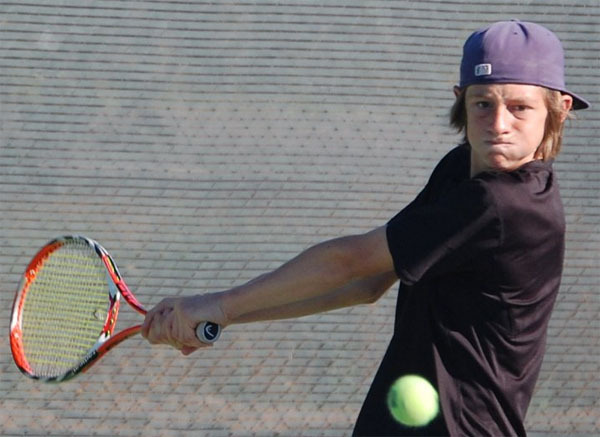 USTA Central Arizona had a terrific showing at a couple of different USTA National Open events held over the Thanksgiving weekend as several players brought back some hardware from these top junior Level 3 national events. Phoenix native Savannah Slaysman claimed one half of a Girls’ 14s doubles and Alex Lawson of Tempe, Ariz. (pictured right) reached the final of the Boys’ 18s doubles. Meanwhile, at the Girls’ 12s National Open event in Tucson, Kylie McKenzie (Anthem, Ariz.) reached the Girls’ 12s singles final. Those three performances were among the best of a stellar week put in by Central Arizona juniors. McKenzie’s (right, in picture) finalist finish at the Girls 12’s event at the Reffkin Tennis Center in Tucson was the best female singles performance of the week. The 11-year-old breezed through four rounds of play to reach the final, including wins over No. 2 seed Delaney Nothaft (Tempe, Ariz.) and No. 4 Summer Garrison (Half Moon Bay, Calif.) before finally succumbing to top-seeded Kayla Day 6-1, 6-4 in the final. Nothaft also reached the doubles final of the Girls’ 12s event in Tucson, partnering with Anna Bright of Fort Worth, Texas. The two came in as the No. 2 seeds and ran off three wins before falling to the top-seeded pair of Day and Paulina Ferrari (San Diego, Calif.) in the final. Other District juniors faring well in Tucson included Chloe Weihs (Peoria, Ariz.) and Taylor Bridges (Mesa, Ariz.), who each reached the Round of 16 in singles. Also in Irvine, Savannah Slaysman (Phoenix) paired with hometown girl Paris Todd to take the Girls’ 14s doubles title. The unseeded pair won five matches, defeating the 1, 2, 3 and 7 seeds along the way to the crown. In the final, Slaysman and Todd defeated Jessica Failla (Romona, Calif.) and Amber Park (La Canada, Calif). Alexandra Letzt (Scottsdale) finished third in Girls‘ 14s doubles and reached the round of 16 in singles. Maddie Pothoff (Tucson, Ariz.) also reached the Round of 16 in singles. In Boys’ 18s, Lawson’s doubles final performance was clearly the best result by a Central Arizona player in that age category. After dropping out in the round of 32 in singles, Lawson picked it up in doubles, partnering with Nolan Paige (Fairfield, Conn.) to win four straight matches, including victories over the No.1 and 3 seeded teams. The unseeded Lawson-Paige duo fell to Caryl Hernandez (Fullerton, Calif.) and M. McKenzie McDonald (Piedmont, Calif.) 8-2 in the final. 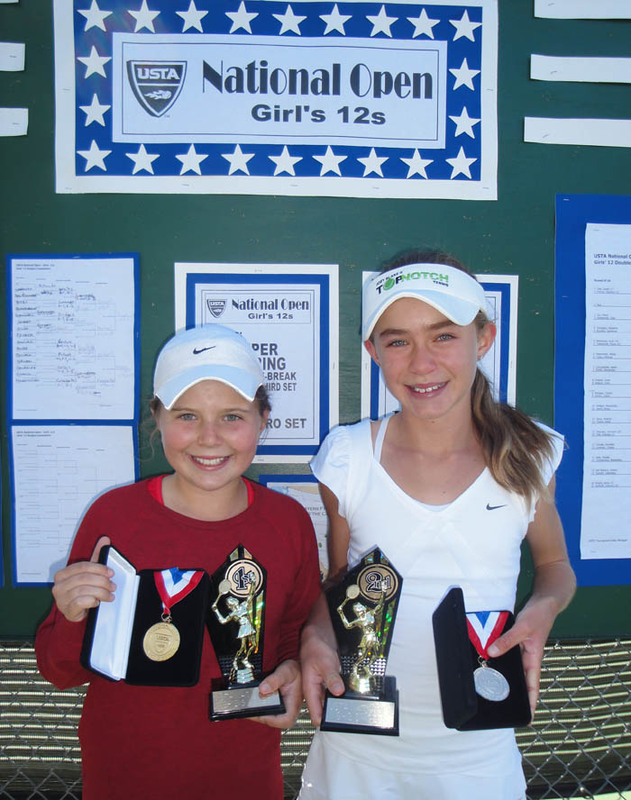 For results from the Girls’ 12s event in Tucson, click HERE.